For those of you who’ve followed me for a while you’ll know in my own home I like to keep things traditional. I tend to opt for traditional Victorian Christmas colours of red, white and green and rustic simplicity. Here I took a piece of hessian, which is available by the roll in most country stores, and cut it to suit the length of my table. I worked out the width and gently frayed a little edging. There are so many stencils available whatever you choose is up to you. 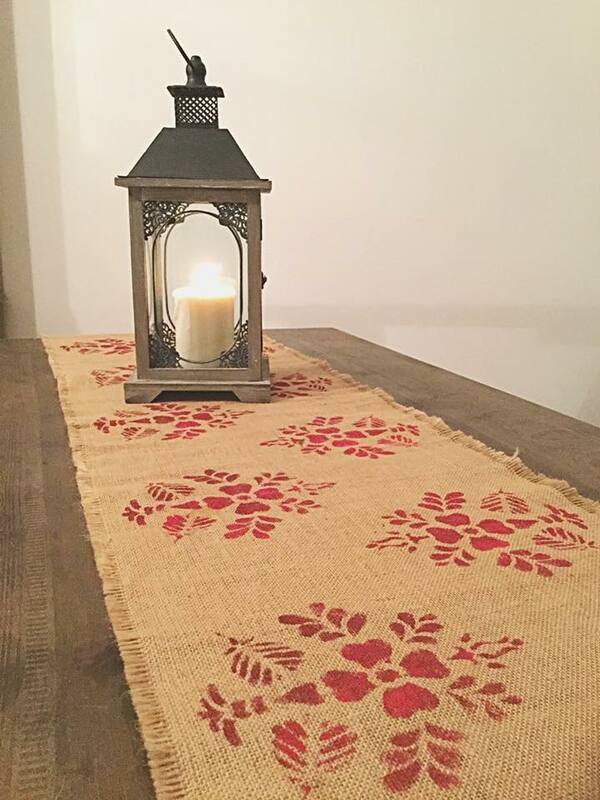 This is an Annie Sloan stencil that really worked brilliantly as a seasonal design as its floral and foliage motifs took on a festive feel with tones of Emperor’s Silk, Burgundy and Primer Red. 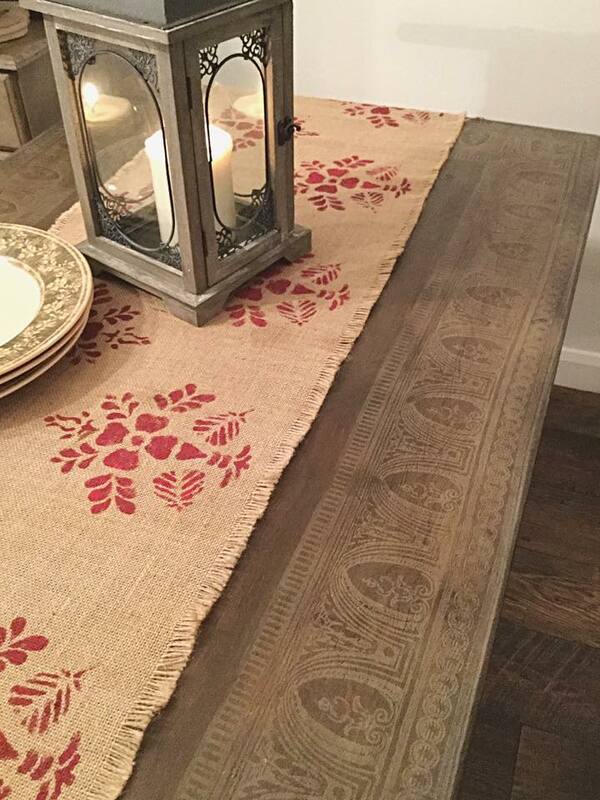 I created a simple repeat pattern left and right along the runner which sits perfectly within my table bordered with an Iron Orchid Design roller. I really love the mix of these patterns for a formal look. The wonderful thing about a project like this is its truly personal and make your Christmas table unique. I find using a soft sponge roller on to fabric is a great way to do this you can use a sponge or a stencil brush if you prefer. The key is not to overload with paint and to heat seal by pressing over with an old pillowcase and very hot iron when your paint is dry. 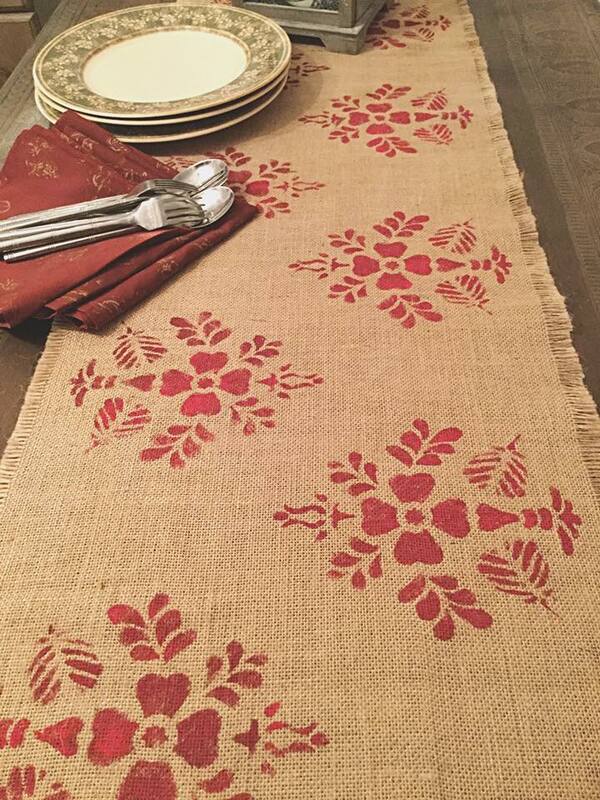 You can replicate this technique for seat pads or cushion covers or individual place settings to match your runner if you have a super wide table or small centrepiece for occasional tables in your lounge under festive flower arrangements or poinsettia. You could also use it to make lovely homemade gift sets for friends and family too. 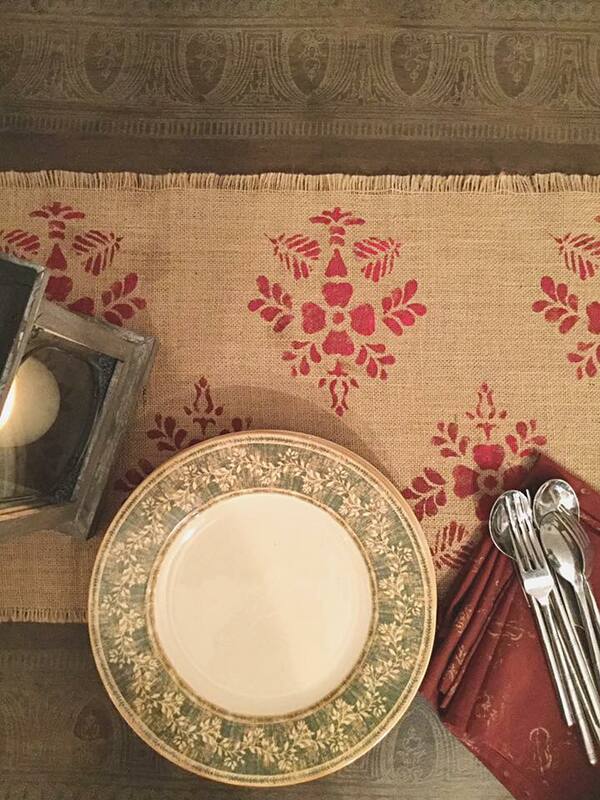 If you’ve created some festive table designs I’d love to see them!